A monthly Welsh language religious periodical intended for the Sunday schools. The periodical's main contents were religious articles, domestic and foreign news and poetry. The periodical was edited by the minister and man of letters, Owen Jones (Meudwy Môn, 1806-1889). 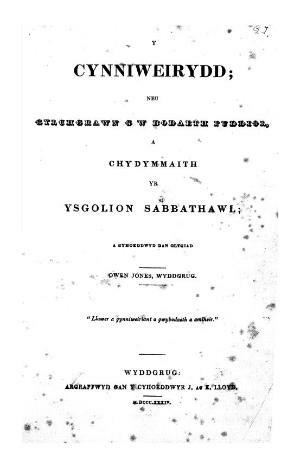 Associated titles: Newyddiadur Hanesyddol (1835); Cronicl yr Oes (1836).